Every human being requires sleep in order to function properly. Sleep is known to aid in healing, in memory formation, reducing stress, eliminating toxins – literally wiping the slate clean of the day’s experiences to begin anew. The subject of decades of research, sleep science continues to amass evidence of new health benefits from sleep. 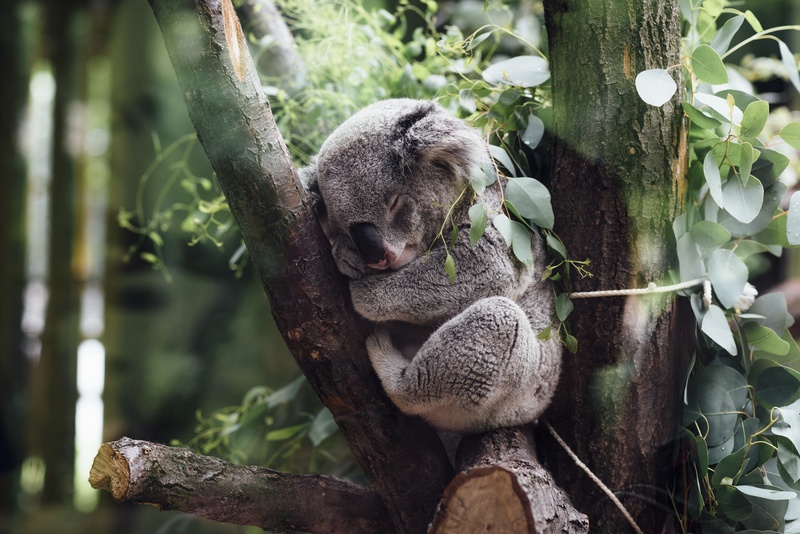 A newly discovered single gene, called nemuri, increases the human body’s need for sleep, according to researchers from the University of Pennsylvania’s Perelman School of Medicine whose work was published in Science. Studying over 12 lines of fruit flies, researchers found direct links between the immune system and sleep, which provides a possible explanation for how sleep increases during sickness. In their next phase of research, the scientists plan to investigate the mechanism by which nemuri drives sleep. While it may seem mysterious, it’s actually logical. Researchers from the University of Bern found that the introduction of new foreign words and their translation words could be associated during deep sleep in a midday nap and stored. Upon waking, those associations could be retrieved unconsciously and reactivated – essentially learning a new vocabulary during sleep. Researchers said the memory formation seems to be mediated by the same brain structures mediating wake vocabulary learning. The research was published in Current Biology. An estimated 936 million people worldwide are affected by obstructive sleep apnea (OSA) and OSA sufferers have memory problems and depression. A study by researchers at RMIT University in Melbourne, Australia built upon known links between memory and depression and found that untreated OSA leads to problems recalling specific life details. Researchers said their work suggested that sleep apnea may impair the brain’s capacity to encode or consolidate certain types of life memories, which explains why it is difficult for people to recall past details. Since sleep apnea is also a significant risk factor for depression, researchers hope that a better understanding of the neurobiological mechanisms at work may help improve the mental health of millions of people. The study was published in the Journal of the International Neuropsychological Society. Nobody likes nightmares, especially recurring ones. Indeed, researchers have found that recurring nightmares are significant predictors of mental health problems – especially for children. About half to two-thirds of kids and up to 15 percent of adults have frequent nightmares. A consequence of recurring nightmares in kids may be adolescent and adult psychosis, including anxiety, depression, stress and suicidal ideation, while in adults it may signal post-traumatic stress disorder (PTSD). Yet there are few effective and easy-to-use treatments for nightmare disorders. Two researchers from Boston University, one from the School of Medicine, the other from the School of Theology, co-founded the Center for Mind and Culture and created a pilot study using a virtual reality program to help combat recurring nightmares. The study used moderately frightening virtual reality imagery, such as underwater environment with an approaching great white shark, to stimulate a manageable fear level in participants. By exposing them to disturbing and arousing images, but not very scary ones, the goal is to treat distress, not inflict more. Participants used a joystick and gesture controls to modify the visuals they saw. At the end of a month of two sessions weekly, during which participants were monitored for anxiety, nightmare distress and nightmare effects, researchers found significantly lower levels in all three. What’s really exciting about these results, say researchers, is the potential to bring this to kids suffering nightmare disorder. Treating them early with such technology may ward off or slow down conversion to psychosis. You know you’re out of sorts after a fitful night’s sleep, or when you’re not able to sleep your regular amount of hours. Now researchers from Iowa State University have found evidence that sleep loss causes anger. For the study, participants were split in two groups, one getting their normal 7-hours of sleep, while the other was restricted to about 4.5 hours per night. Anger was measured before and after sleep manipulations by having participants listen to noise products creating uncomfortable conditions, which tend to provoke anger. In the sleep-restricted group, anger was “substantially higher” than in the unrestricted sleep group. Next, researchers plan to study whether loss of sleep causes actual aggressive behavior toward others. In the largest to-date experimentally controlled study on sleep deprivation, researchers at Michigan State University found that small distractions can result in serious consequences for people who are sleep deprived. The research differs from other sleep deprivation studies in that it focuses on the impact of sleep deprivation on completing tasks. The study involved requiring people to complete a task which needed a number of steps in order, and periodically interrupting them in the process, after which they had to remember the steps in order to proceed. Members of the sleep-deprived group had roughly 15 percent increase in errors the following morning when they were asked to perform the step-by-step task again. In addition to showing more errors, the sleep-deprived group showed a progressive increase in errors that was associated with memory while performing the task. The non-restricted sleep group did not show this effect. This entry was posted in Research, Self-Care, Sleep and tagged better sleep, health benefits from sleep, sleep on March 10, 2019 by 15893608. After a year of emotional upheavals and health challenges, I resolved to enter 2018 with a singularly proactive step: getting more restful, productive sleep. It can’t be coincidental that numerous sleep studies caught my attention, as my subconscious mind probably directed me to find them. I already know, as do most of us, that sleep is necessary for the body to rest and replenish, as well as heal, yet there are many more aspects of stages of sleep and effective sleep that I’ve discovered in my quest to become more sleep-proficient. As someone who’s been plagued by vivid nightmares many times in the past, and sometimes even the present, I welcome research that provides a more complete picture of this nighttime torment. Ever wake up in absolute dread, feeling a sense of impending doom, like you can’t escape the horrible dream you just awakened from? That’s a nightmare, and who wouldn’t relish the opportunity to learn more about them as well as how to overcome them? It makes sense to me that, as a study in Brain and Behavioral Sciences reported, the form and content of dreams is not random, but constructed by the brain in an organized and selective fashion. Furthermore, certain types of waking experiences profoundly affect dreams. Study authors proposed that the function of dreaming is to simulate threatening events, and then rehearse both threat perception and threat avoidance. Weinstein et al. (2017) found that waking-life psychological need experiences are reflected in daily dreams. Another study published in Stress and Health linked need frustration to higher stress, leading to greater evening fatigue and subsequent poorer sleep quality and shorter duration of sleep. University of Montreal researchers found that nightmares have more emotional impact than do bad dreams, and frequently contain themes of physical aggression – death, health concerns and threats. Researchers learned that men more often have nightmares involving calamities and disasters, while women’s nightmares centered on themes of interpersonal conflict twice that of men. During the dream stage of sleep, called REM (rapid eye movement), the sleeper’s brain processes emotional experiences and can promote healing from the reactivation of memories of the event, say researchers. This is thought to happen due to low levels of norepinephrine, a brain chemical associated with stress, during REM sleep and results in a stress-free environment in which to process emotions. The sleeper awakes the next day with those experience memories softened, thus, better able to cope. This finding holds promise for new treatment for those suffering from post-traumatic stress disorder (PTSD). If REM sleep is so important in sleep hygiene, I wanted to know more about how to achieve a higher quality and longer duration of this vitally important sleep stage. An intriguing 2015 study by Japanese researchers identified a neural circuit in the brain in mice that both regulates REM sleep and controls the physiology of non-REM sleep, another major sleep stage. Of interest to me was a 2017 study published in Neurology, the medical journal of the American Academy of Neurology that found that people who get less REM sleep may be at greater risk of developing dementia. Avoid alcohol before going to bed. Alcohol interferes with the various stages of sleep and can result in restless sleep, interrupted sleep, and less high-quality REM sleep as well as deeper, more restorative sleep. Since caffeine is a stimulant, sleep experts advise curtailing any caffeinated drinks (lattes, coffee, espresso, sodas and teas) later in the day. Drinking caffeine just before retiring can result in an inability to fall asleep or remaining asleep. Certain medications can have a negative effect on sleep. This includes both prescription and over-the-counter medications, as well as herbal remedies. Check into their effects on sleep and ask your doctor if there are other medications that can be substituted that won’t interfere with sleep. Curb the urge to smoke late in the day. Nicotine interferes with sleep. Heavy smokers are prone to be light sleepers, which cuts down on the amount of REM sleep they achieve nightly. Complicating the matter is the fact that nicotine withdrawal during the night causes heavy smokers to wake more often, which makes it hard to fall into REM sleep or maintain it. While I don’t smoke or drink, I do like my daily lattes. Sometimes I have one in the afternoon and, now that I’m more knowledgeable about the effects of caffeine, I understand why my sleep is erratic. I also take a few prescription medications, although they do not cause me any sleep problems. Other helpful tips to achieve better REM sleep include meditation, setting a relaxing sleep routine (getting ready for bed), arranging a comfortable sleep environment, and even adding an extra 60 to 90 minutes of sleep. The latter is because REM sleep occurs in cycles every 60 to 90 minutes, so in theory, adding that extra hour to hour and a half should provide another chance at REM sleep. I’ve implemented each of these to my sleep program and attest to their effectiveness. I also bought and wear a monitoring device on my wrist that helps me keep track of my steps, heart rate, calories consumed, and amount of time spent exercising. Through an online dashboard, I can log my food, water intake, weight and see the results of my nightly sleep. This smart technology allows me to see my sleep patterns and view the results in graphs (showing the various stages of sleep) as well as minutes/hours in each stage, where I am in comparison to benchmark, and 30-day average. It has proven immensely valuable in helping me achieve better REM sleep. If the mind and emotions become revitalized during REM sleep, when does the body get the opportunity to recharge itself? Researching this question, I learned that the third stage of non-REM sleep, called N3, delta sleep, or slow wave sleep, is the deepest stage of the nightly sleep cycle. It’s during N3 that the body repairs itself and, in fact, the body requires deep sleep to perform other vital functions such as building muscle tissue, healing wounds and regenerating cells. The kidneys clean the blood and organs detoxify during the deepest stage of sleep as well. Sleep experts say that deep sleep typically occurs in longer periods during the first half of nightly sleeping, with the first N3 episode lasting from 45 to 90 minutes and subsequent deep sleep episodes of shorter duration. N3 decreases with age, sleep is intermixed with wakefulness, and is considered normal. Minus other factors, does not indicate presence of a disease or disorder. During this time, muscles relax, breathing and heartbeat slow further, and brain waves (measurable on an EEG) become even slower. It is very difficult to awaken someone in deep sleep. Factors inhibiting deep sleep that you can control include mitigating stress – especially pre-bedtime stress – and controlling the temperature of the sleep environment. If the room where you sleep is too warm, getting to sleep will be more difficult, since the body drops temperature when it’s ready to sleep. Too warm and you’ll be restless. In addition to adjusting room temperature to between 60-68 degrees Fahrenheit, make sure sleeping clothes, bed linens and pillows are conducive to cooler sleeping. This entry was posted in Lifestyle, Self-Care, Sleep, Well-Being and tagged better sleep, how to get better sleep, in search of better sleep, sleep on May 31, 2018 by 15893608.